The New York Times in May said Apple’s favorite contract manufacturer Foxconn was looking beyond the iPhone due to slowing sales of the Apple smartphone caused by the broader tech biz slump. As you know, Foxconn also builds consumer electronics for Sony, Amazon, Dell and many other Western brands. Conventional wisdom says the manufacturer’s been growing concerned about its reliance on Apple orders accounting for well over half of its total revenues. Today, The Wall Street Journal is out with a report saying Foxconn has teamed up with the convenience store chain 7-Eleven to push its own television sets in Taiwan. President Chain Store Corp, the operator of 7-Eleven stores in Taiwan, said it has sold more than 10,000 of the large, web-connected TVs made by Hon Hai and launched in late June. Hon Hai and President Chain Store also said they may cooperate in making smartphones and tablets in the future. And smartwatches, if I may add. 7-Eleven is owned by Taiwan’s Uni-President Enterprises Corporation and currently owns nearly 5,000 stores in the country. This is admittedly a marked change in strategy for the world’s top gadget manufacturer that has gone from assembling products designed by its clients to cutting the middle-man and building its own television sets sold and marketed by third-party brands. Foxconn isn’t disclosing any numbers, but analysts have estimated it has sold over 10,000 7-Eleven TV sets in the past six weeks. 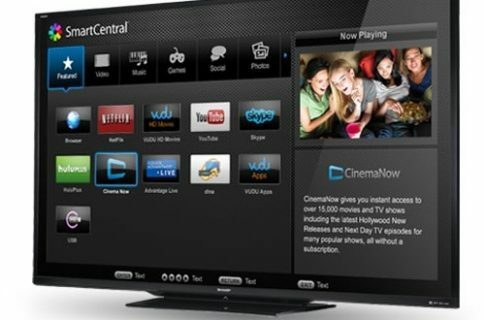 Watchers may not realize the Taiwanese manufacturer actually kickstarted its TV assembly biz five years ago, in 2008. Though RadioShack in China and Vizio in the United States have been selling Foxconn-made TV sets under their respective brands, the manufacturer has no intention of becoming its own brand in order not to compete with its clients directly. Analysts believe Foxconn’s ambition to expand in the TV market stems from its CEO Terry Gou’s acquisition of a 50 percent stake in Sharp’s cutting-edge panel-making plant in Sakai, Japan as he seeks to find outlets for Sharp’s large panels. The Foxconn-made networked TV sets carried by 7-Eleven are outfitted with “the most advanced panels from the Sakai plant,” with 40, 60 and 70-inch models being offered and preloaded with links to the 7-Eleven online store and Facebook. Conveniently enough, the rumored iTV is said to feature Foxconn-made panels measuring between 46 and 55-inches diagonally, likely to be manufactured at Sharp’s advanced plant. 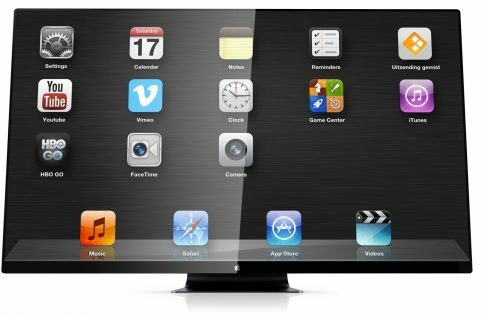 According to the latest supply chain chatter, Apple, Corning, Foxconn and G-Tech Optoelectronics met two weeks ago to discuss the production of the rumored iTV. “Foxconn is seeking for knowledge transfer of Gorilla Glass from Corning to GTOC, so GTOC can perform surface treatments needed for iTV manufacturing,” Economic Daily News asserted last week. Foxconn CEO Terry Gou pointed out two months ago that “the Sakai plant has an exclusive agreement with Corning on large panel supply; so our competitors won’t be able to secure any glass even if they want it”. 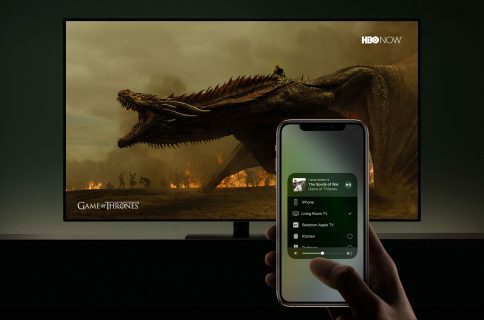 But don’t get your hopes up too high as an Apple-branded television set doesn’t look to be in the cards this year – stalling talks with content owners are holding it back. On the other hand, some sort of a TV-related announcement is ostensibly being planned for later this year. 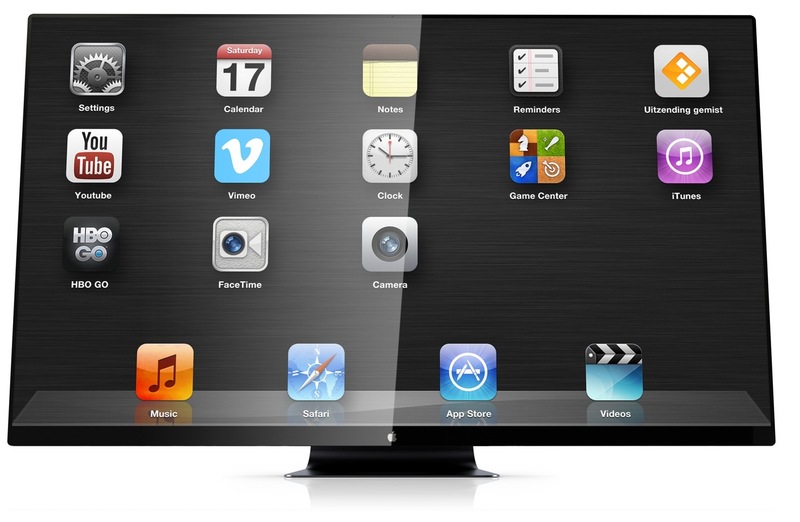 Realistically, it won’t be until late-2014 before we see anything on the Apple television set front.